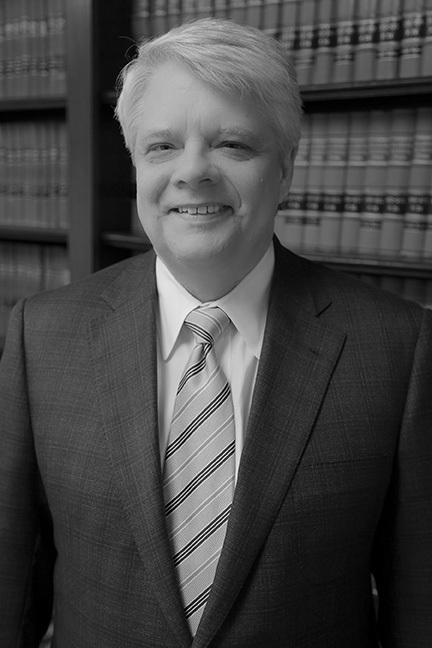 I am an attorney in Oklahoma City, Oklahoma, specializing in estate planning, probate, and elder law for all Oklahomans through my firm, Kevin L. Miller, P.C. I have over 30 years experience in helping all kinds of individuals and families. I am a native Oklahoman. I was born and raised in southeastern Oklahoma. My father was a lawyer in Poteau, Oklahoma and was well known throughout the state. My parents raised me and my two brothers to believe we could do anything as long as we worked hard and played by the rules. A good education was emphasized, along with compassion and empathy for others. I graduated from the University of Oklahoma with a bachelor’s degree in Political Science in May, 1982. After my graduation, I attended Oklahoma City University School of Law, where I received my juris doctor degree in May, 1985. While in law school, I received the American Jurisprudence Award in Estate Planning. I believe that people should be treated with decency, dignity and respect. I believe in equality and justice for everyone. Equality is fundamental and necessary if we are to have a just society. Over the decades that I have practiced law, I keep the above principles in mind when I meet with clients to help them attain their life and estate planning goals. I really would not have it any other way based on my upbringing and beliefs. For me, estate planning is more than property and money. It is about planning, providing, and caring for you and your loved ones, both now and in the future. My practice areas include the preparation of all types of trusts, wills, durable powers of attorney for property, durable powers of attorney for health care, advance directives for health care and other estate planning documents depending on your particular need and circumstance. I also have substantial experience in probate, estate administration, trust administration, will contests, estate litigation and ancillary probate matters, as well as guardianships, special needs planning and business formation, planning and succession. I provide comprehensive and strategic life and estate planning for lesbian, gay, bisexual and transgender (LGBT) individuals and families. LGBT individuals and families must take a proactive approach to their life and estate plan in Oklahoma. Over the years, I have developed specific life and estate planning strategies and tools that all LGBT families and individuals must consider as part of their life and estate plan if they live in Oklahoma. For more information on this portion of my practice, I would direct you to the LGBT section by clicking here. My commitment to you is to listen, to help you determine your needs and goals, and to develop an estate plan tailored to meet your particular circumstance. You will be provided with a high level of personal service with an attention to all the details. You will experience personalized, professional service in a confidential, welcoming and comfortable environment. I firmly believe the greatest gift a person may pass on to his or her family or loved ones is a well thought out and easy to understand estate plan. It can make a world of difference and make matters easier after a loved has passed. I was admitted to the Oklahoma Bar Association in October, 1985. I am licensed to practice law before the Oklahoma Supreme Court and all district courts in all 77 counties in Oklahoma. I have been in most of them. On the federal level, I am admitted to practice before the United States Tenth Circuit Court of Appeals in Denver, Colorado. I am admitted to practice before the U.S. District Court for the Western District of Oklahoma, the U.S. District Court for the Eastern District of Oklahoma, the U.S. District Court for the Northern District of Oklahoma and the U.S. District Court of Nebraska. From 1996 to 2007, I was a member of the Board of Directors of Red Rock Behavioral Health Services in Oklahoma City, Oklahoma. During this time, I served as board president for 6 years.